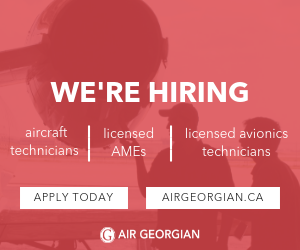 Anyone knows if there is a TC Canada approved training center for a 320 rating in Canada ? Cae doesn't seemed to be approved in Toronto yet. I am looking at endorsing it onto my Canadian ATP license. Or is there a way to find training center ( worldwide ) where the type rating would be approved by TC ( I guess checked by a TC examiner then ) ? If you received a type rating overseas, I believe it can be added to a Canadian license with just a little paperwork. This is how it used to be done anyway. That said, it is also dependent upon which country and regulator you first received the type rating from. Some countries don't conform close enough to our standards and others have trouble validating training (providing an english translation of training records). Call a TC office and if you can get someone to pick up the phone - good luck there - they will have the specifics. Assuming you've already contacted TC and they require a ride, most training centres have examiners certified to provide type ratings for various regulators. Where I did my last type rating, there were examiners that could provide a ride on behalf of a dozen countries including Canada, 'merika, EU and Australia/New Zealand IIRC. Its pretty straightforward to add a foreign type rating on your license. You need to fill out the paperwork for TC, also need a copy of your flight test report, or logbook showing 50 hours on type, and $30 for the TC fee. It took a long time to get it, about 3 months I believe.